Born in Prague, Ladislav came to London in 1968 where he completed his education and professional qualifications. 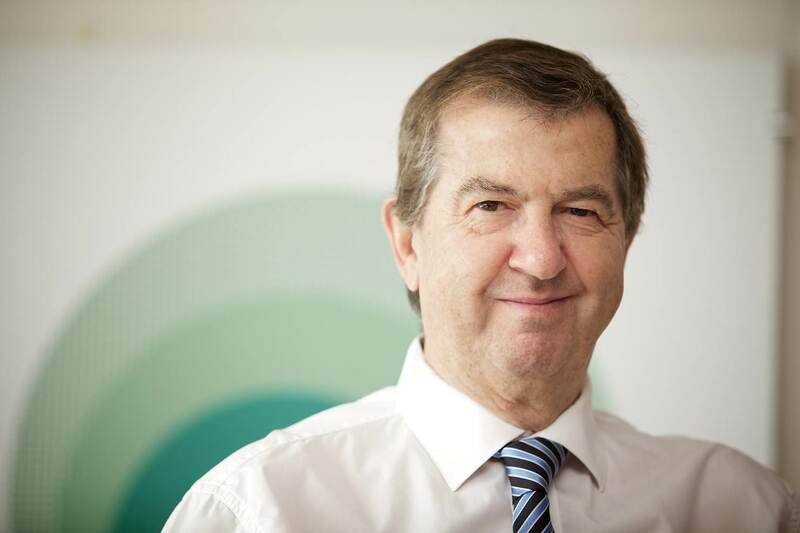 He has specialised in insolvency and corporate recovery since joining UHY Hacker Young in 1974. He was elected Managing Partner in 1995 and continues to hold this post; he also held the position of Chairman of UHY International twice, and continues to serve as a Board Director since 1995. As an Insolvency Practitioner, Ladislav has UK as well as international experience in the assessment of the financial position and viability of businesses in difficulties, of monitoring business progress following the implementation of recovery programmes and of acting as a formal insolvency Office Holder of failed businesses. Additionally, he has experience in dealing with complex fraud cases assisting UK government agencies (SFO and HMRC). As Managing Partner for nearly 20 years, Ladislav has gained valuable experience in all aspects of professional services including audit and practice management, regulatory issues and risk management. Over the years Ladislav has also pursued interests of a charitable nature, and in 2005 he was awarded ‘Gratias Agit’ by the Czech government for promoting the good name of the Czech Republic abroad through his numerous activities, for example, many years of involvement with the English College in Prague. Marketa’s background is in accountancy and Investment Management. She started her career in Oil & Gas as a Project Account Analyst, providing financial management and analysis of several large projects, before she moved onto Investment Management. Marketa has over six year of experience in Investment Management, specifically in all areas of middle office supporting Portfolio Management teams. In addition, she has provided consultancy services to start-up companies where her focus was on business development. Marketa graduated from the University of Surrey in 2007 with a degree in Business and Finance. Tereza is a PR, communications and marketing professional with over 18 years of experience and proven success in industries such as hospitality, retail, IT, defence, broadcast, logistics and engineering. At the start of her career, Tereza also worked at the Diplomatic Protocol, Ministry of Foreign Affairs. Over the years, Tereza has delivered several award-winning communications programmes and successful projects in the areas of internal/external communications, media relations, social media management, brand management, online marketing, crisis communications, acquisitions, culture change, employee engagement, and others. After having lived and worked in the UK for 11 years, Tereza relocated to Germany in 2018 and now works as Head of Global External Communication, Animal Health, for Boehringer Ingelheim. Originally a linguist, with a Master’s Degree in English and Spanish from the Masaryk University in Brno, she also currently contributes to the Czech & Slovak Leaders Magazine, Thrive Global and occasionally provides PR and communications consultancy services to organisations both in the UK and the Czech Republic. Marek was born in Prague but grew up in Vienna and Bratislava. He holds a Bachelor's degree with honours and distinction in Business Administration from Les Roches International School of Hotel Management in Switzerland. During his studies, he completed various internships with Four Seasons Resort in Provence, France and with Mandarin Oriental Hotel in Prague, Czech Republic. 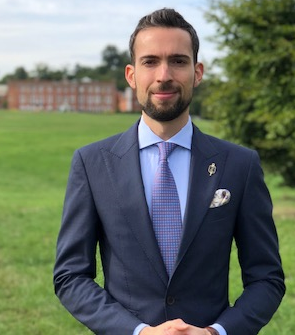 After graduating, he joined Four Seasons Hotel in the Hampshire countryside, where he's held different management positions. In his current role as Front Desk Manager, Marek is primarily responsible for overall guest satisfaction and overseeing the management of Front Office operations. Volunteerism and participating in extracurricular activities has always mattered to Marek. Since his times in Les Roches, he has enjoyed taking on numerous roles across the student government body as four times re-elected Class President, Student Ambassador and served as VP of Eta Sigma Delta International Honor Society. Since 2013, Marek has been in charge of planning and executing the annual Terry Fox Run of Hope on behalf of Four Seasons UK Collection, raising over £100,000 annually for cancer research. In his spare time, Marek enjoys playing tennis and he's an avid traveller. Tereza is a former news reporter, TV presenter, radio broadcaster and a current PR professional with over 18 years of experience as a media expert. She is a founder of MP Associates of London Ltd, media consultancy which covers media and presentation skills training, PR and life and business coaching. She works with Government Legal Department in London and SMEs in UK and Europe. 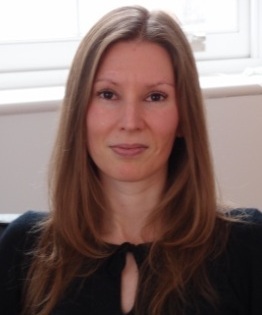 Tereza is a board member of the British Association of Women Entrepreneurs. She is also a fellow at the Royal Society for the encouragement of Arts (RSA), Manufacturers and Commerce. During her 13 years with Czech Prima TV, Tereza worked closely with and interviewed Czech and world politicians on a daily basis. She accompanied the Czech Prime Minister to the White House to cover his Presidential meetings, and asked President Barack Obama questions for her news channel both in the Oval Office and during his state visits to Czech Republic. In her role with Czech Prima TV, Tereza created independent reports for daytime TV programmes, completed regular voiceover work and has written political and women's columns for magazines and political interest websites. Tereza is currently working on a series of children's books which are fun and educate children about friendship, loyalty and environmental issues.